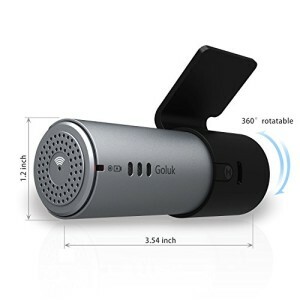 The Goluk T1 is well presented, featuring a beautifully design dash cam in a well packaged box. Unlike the majority of other dash cams, the Goluk uses WiFi to connect to a smartphone, rather than a standard screen. Not only does this allow for a more modern design, but provides an interesting alternative to the norm. The wireless "MagicKey" can be stuck to the steering wheel or dashboard, and when pressed, will save a 12 second clip to both the SD card and the smartphone. This footage can then be edited, and instantly uploaded to one of the popular social media sites. So far the Goluk T1 ticks all the boxes; Full HD recording, a free microSD card and a 3 year warranty from the seller. At the time of writing the Goluk T1 comes with a free 16GB microSD card. 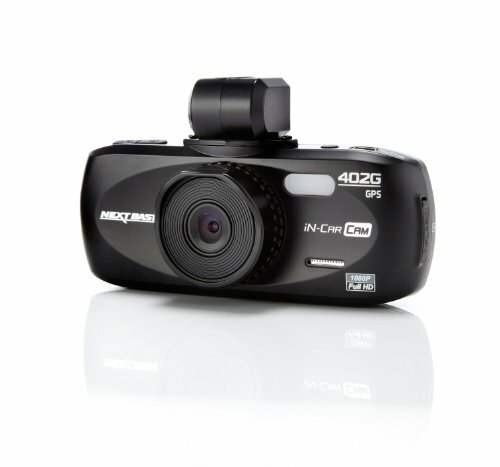 If you would like to purchase a spare, this dash cam accepts microSD cards up to 64GB. You will need a Class 10 card, as they are a necessity for 1080p video. This is due to the guaranteed write speed of at least 10MB/s. As the Goluk is controlled almost entirely from a smartphone, there is only one button on the device. This is the “Reset” button, found on the side. To restore the dash cam to the factory settings, you can use an object such as a pin to press and hold this button for 6 seconds. This will come in handy if you are having any connectivity issues. 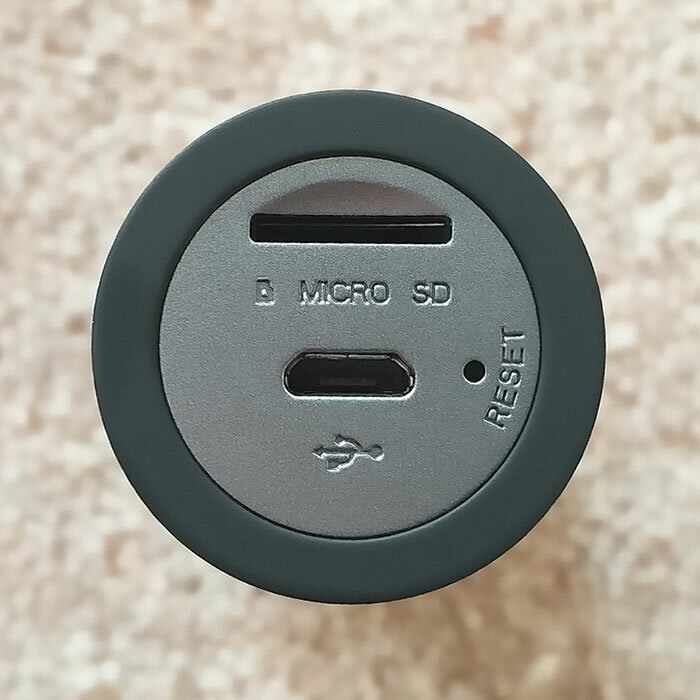 The input for the USB cable is found next to this button, and is used to power the dash cam. The slot above is for the MicroSD card, which needs to be inserted with the text facing the lens, the gold teeth facing towards the back. The SD card should slide in easily, and click in place. On the other side you will see a small light. When the Goluk is connecting to your smartphone this will flash blue, and should remain sold once a connection is established. The microphone is also found on this side. 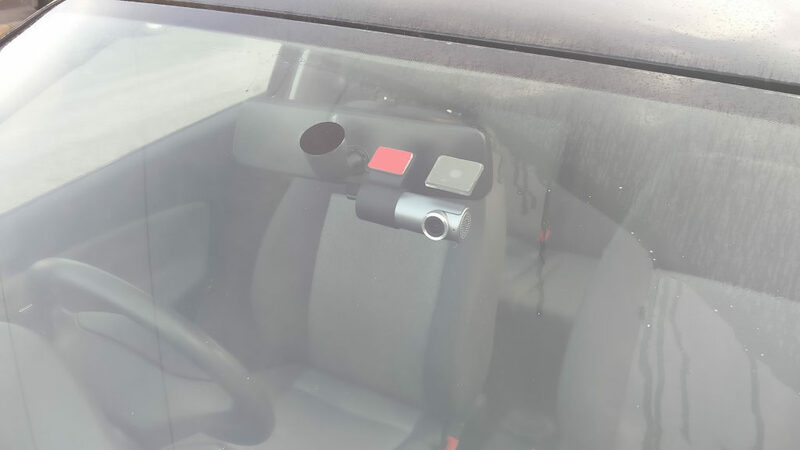 There is another light on the back, which turns green when the dash cam receives power, and will remain red while the camera is recording. There is one more light on the front of the camera, next to the lens. This should flash red when the security function is activated. The very first thing you should do is insert the microSD card. You will need to insert the card before switching on your dash cam, to avoid damaging either the card, or the Goluk. Before attaching the camera it is important to check the laws where you are driving, to make sure the dash cam is not placed illegally. If the dash cam is stuck behind the rear view mirror, or on the passenger side (without obstructing the drivers vision) you should be fine. First attach the Goluk T1 to the mount, and hold this up to the windscreen until you find a place you are happy with. Once you are ready, you can either leave the camera in the mount or remove it, before peeling the protective film from the adhesive pad on the mount. Firmly stick this in place. Now you can plug in the USB cable, and tuck this above the windscreen over the passenger side. Follow this along, and down through the rubber on the side, before taking it underneath the floor mat. If you would like to use the cable mounting clips provided, you can stick these onto the glove box or windscreen, but this isn't necessary. Insert the power adapter into the cigarette lighter socket, and plug the camera in. For an very detailed setup guide with images, visit our friends at dashcamguru.com. The next step depends on how your car delivers power to the 12V socket. Once the USB cable is plugged in, the camera may power up. If it doesn't, your car requires the ignition to be on for the 12V socket to be active. In this case, turn on the ignition, and wait for the camera to automatically power up. 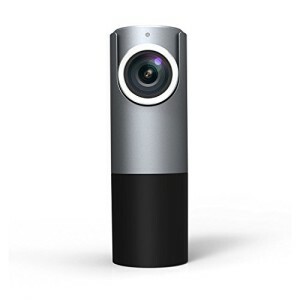 Although footage can be recorded without a smartphone, it will greatly enhance the experience, and allow you to change important settings. The first thing you will need to do is download and install the Goluk app from the Google Play/Apple store. Once this is run, you need to tap the blue circle at the bottom of the screen, and follow the on screen instructions to connect to the dash cam. If it asks for a password, enter 123456789. If there are any problems with connecting, reset the Goluk by pressing and holding the "Reset" button for 6 seconds. Once the devices connect, you will see a live broadcast from the Goluk, with a large red circle underneath. When you tap this circle, 12 seconds of footage will be saved and protected (6 seconds before, 6 seconds after). 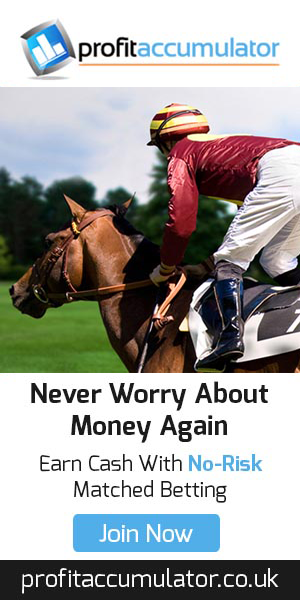 The wireless MagicKey works the same way. Using one of the adhesive pads in the box, you can stick this remote anywhere you want, just remember to pull the tab to activate the battery. If any videos are on the SD card already, they will be loaded in. The icon in the top right will take you to the settings menu, while clicking on the smaller video to the right takes you to the playback menu. The Goluk will now be recording in 3 minute loops, but first we need to change some of the settings. Important: With any first time set up, you should format the SD card (make sure the card is empty as this will wipe all the data). To do this, tap the settings icon at the top right of the screen. Now you need to tap "Storage", then "Format SD Card", and finally tap "Yes" to confirm. Next we recommend changing the G Sensor sensitivity, as this is turned off by default. If a collision was to occur, the important files would not be automatically protected. To do this, enter the settings menu, and scroll down to G Sensor sensitivity. We found the G sensor to be very sensitive, so you may want to set it on low to begin with. The Goluk settings menu is intuitive, so we will only outline a few of the features below. Auto Record - I recommend keeping this setting on, so the camera begins recording as soon as it receives power. Parking Sleep Mode - "Once this is activated, when it is detected that the car has been stationary for more than 20 minutes (without starting security mode), then the dash cam will enter sleep mode (no videos will be recorded in this mode). If the cigarette lighter adapter has power while the vehicle engine is off, then we strongly suggest that you activate this function." Video Image Flip - Turn this setting on, as it will automatically flip the video when recording inside the vehicle. Parking Guard - The Goluk will detect when you are parked, and automatically turn on Motion Detection. to record footage whenever movement is detected. 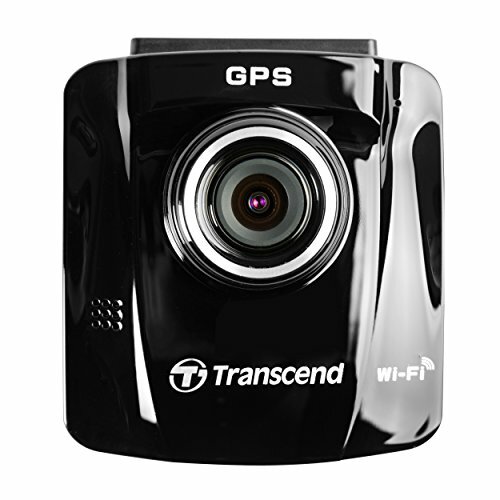 To use this function, you may need to hard with the dash cam as battery life will be an issue. During testing, the Goluk detected movement almost instantly. 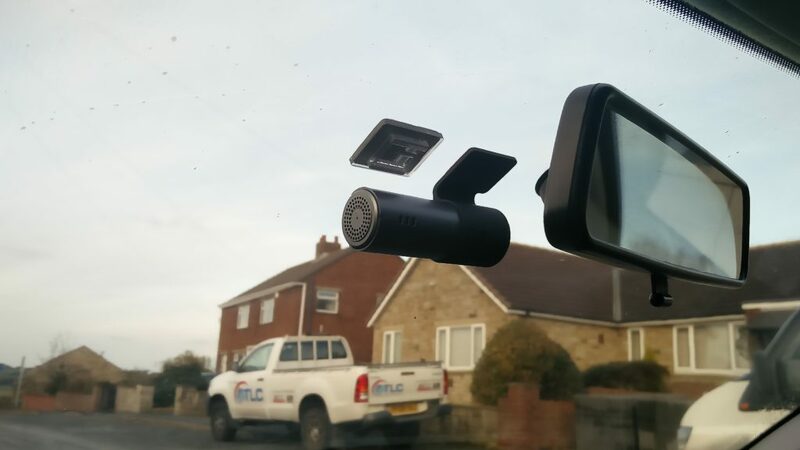 Although this is a handy feature, we don't recommend leaving your dash cam on display if you are away from the vehicle, it might attract unwanted attention. Enter the playback menu by tapping on the right hand video at the bottom of the screen. The playback menu will have four headings at the top; Local, WDF, URG and Loop. Under "Local" you will find all of the Goluk videos currently saved to your phone, they should automatically be copied from the SD card when the app is loaded. The WDF heading stands for "Wonderful" video. This folder contains any footage you have manually protected by either pushing the magicKey, or tapping the red circle on the phone app. URG refers to "Urgent" video, and contains the clips which have been automatically protected by the G Sensor. The Loop heading features all of the 3 minute clips recorded by the dash cam. You will need to tap on a video to begin playback. To enter full screen mode tap the bottom right icon, or tap the bin icon to delete the current file. You can also tap "Edit short video" at the bottom to enter the video editor. This is breifly explained below. To transfer footage to your computer, turn the dash cam off before removing the microSD card. Using an SD card adapter, you can plug this into a laptop or desktop, and copy the files over directly. Alternatively, you can edit and upload the videos directly to the internet. It is a good idea to reformat the microSD card after transferring files, to prevent file corruption. Before you do this, make sure you have a copy of every file you need, as they will be deleted when reformatting the microSD card. The video editor allows you to perform basic cuts, by selecting a location on the video timeline, and tapping "split". You can now delete sections, or add more clips by tapping the + icon to the right hand side. You can also add an audio track, by selecting one from the bottom. Once you are ready to export, tap "Next" and choose the video size. You can now share this via social media, as long as you have an internet connection. 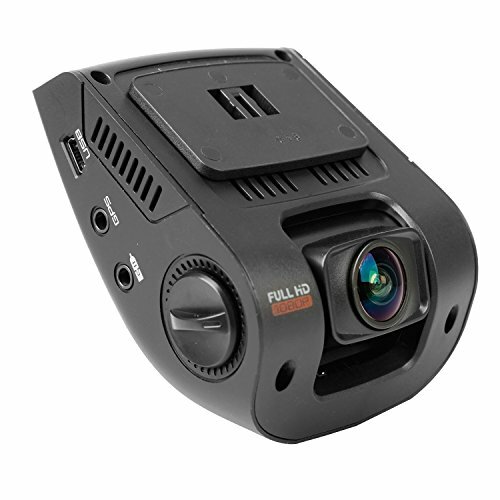 The Goluk T1 video quality is pretty good for a dash cam, and certainly adequate for insurance purposes. At night the quality suffers a bit, but you will struggle to find a dash cam that excels in the dark. I would compare the quality to that of the Maisi smart, very good for the price you are paying. It is clear to see the Goluk has an attractive design, and a lot of care has gone into the packaging and presentation. 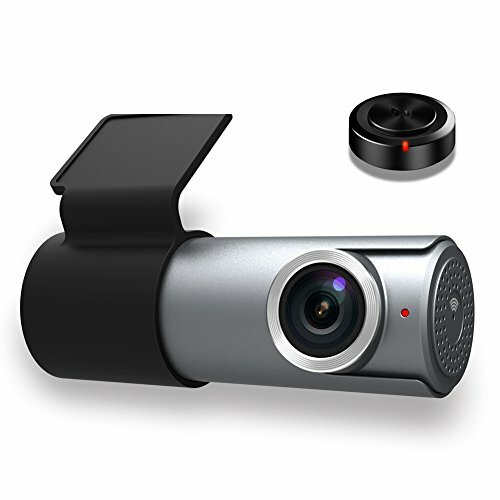 The camera is easy to setup, thanks to the cable mounting clips and long USB cable. The power adapter has 2 USB slots, allowing you to charge a phone or use a sat nav while also powering the dash cam. 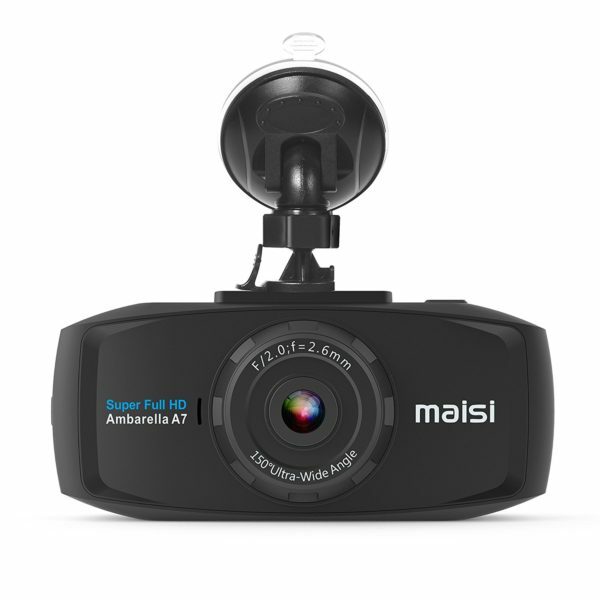 One of the best features of this dash cam is the wireless remote (MagicKey). This makes it very easy to manually capture incidents that may not be picked up by the G Sensor. A free 16BG Micro SD card is included in the purchase, something we wish more manufacturers would do, and a 3 year warranty is also offered by the seller. The only real downside we have found, is the slight hassle of installing and setting up the app, but once this is done the Goluk is very easy to use. It is also worth noting that the G Sensor was turned off by default, so if there was a collision, footage wouldn't have been automatically protected. The Goluk app is currently seeing regular updates, so new features could be added in the near future. 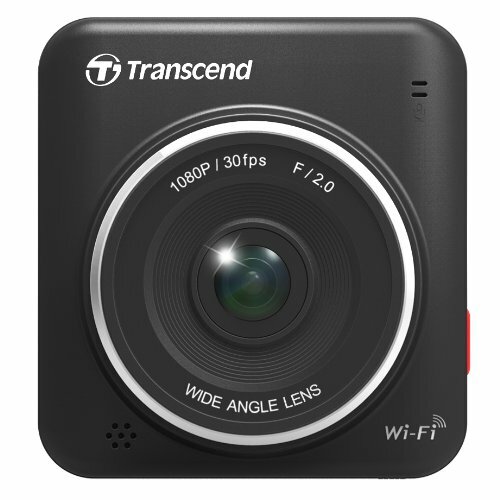 So with good video quality, a decent wide angle lens, and a free micro SD card, the Goluk is certainly worth looking at if you are a fan of WiFi dash cams. For those who prefer using a screen to change settings and play back, check out the Maisi Smart. 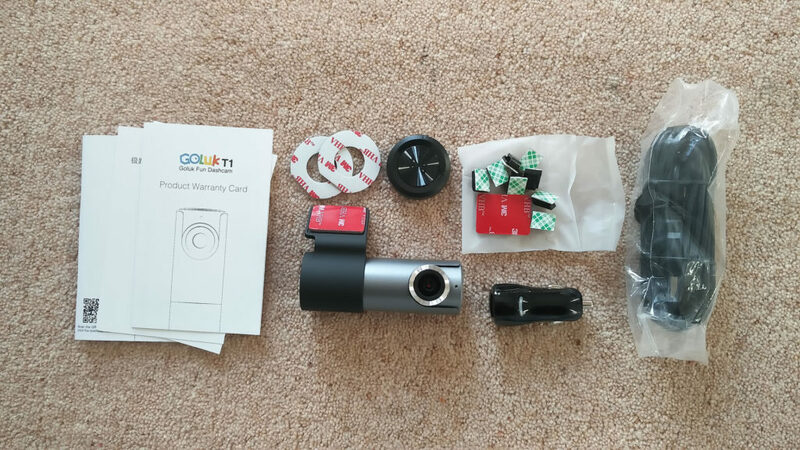 (4.4 / 5) (40 reviews) – The Goluk T1 is a highly rated and popular dash cam on the Amazon website, even though it is a newcomer to the market. If the small issues are solved, they could certainly become a well established brand.